The story is quite well-known, especially to the inhabitants of Tokyo. Hachiko is a dog of the Akita breed that belonged to a Tokyo university professor in the 1920’s. Born in 1923, he would walk his master Hidesaburo Ueno everyday to Shibuya Station and wait for his return there every evening. In May 1925, the professor died of apoplexy at his workplace. Hachiko waited for him faithfully every evening at the station for the next decade until his own death. The story stirred up a lot of emotion in Japan, and was widely publicized in the media. 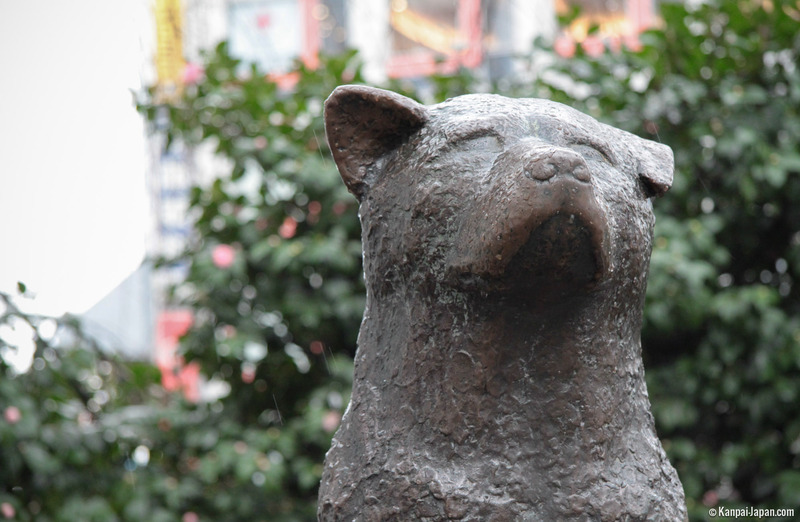 It was given a title, 忠犬 chûken ("faithful dog") and a statue was inaugurated at the JR Shibuya station in 1934. It is still standing to this day and the nearest exit was subsequently renamed after the statue. 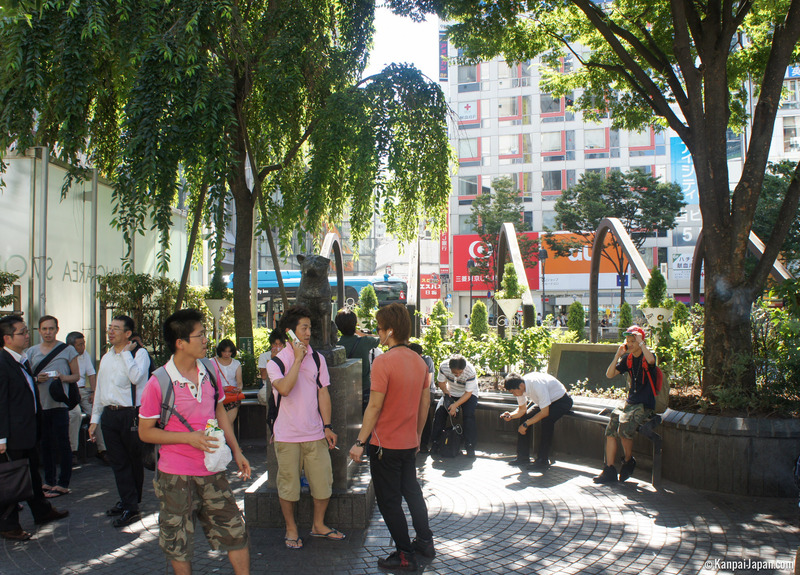 Today Hachiko serves as a meeting point in the swarming Shibuya district. Amid the uninterrupted flow of travelers coming and going between the station and the famous rallying point, many stop there to wait for their friends or デート date. Benches have been placed there for people to be able to sit while waiting. Hachi, an American movie made in 2009. 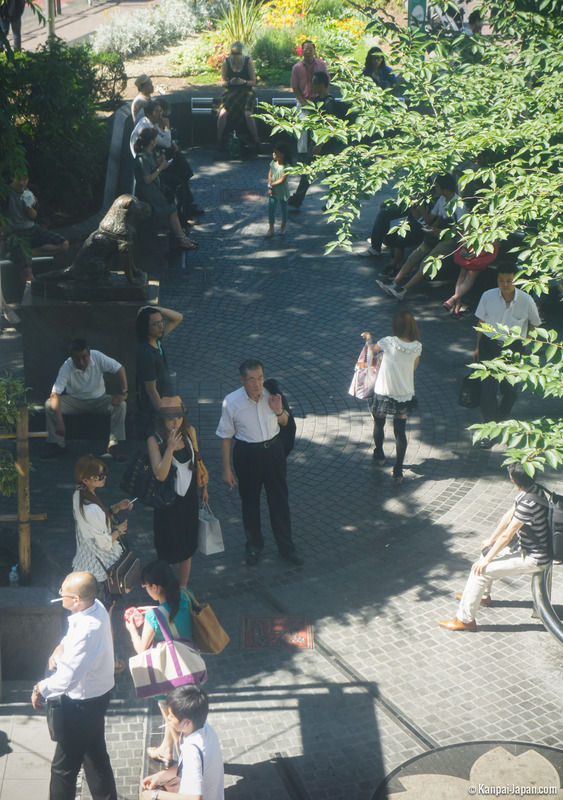 Note that the area around the statue also serves as a smoking zone; in Japan, specific areas are set apart for smokers, as it is forbidden to smoke while walking in the street. In Akita (north of Honshu) where Hachiko’s breed comes from, a statue of the illustrious dog was erected at Odate Station in 2004. Finally, to celebrate the ninetieth anniversary of the death of Hidesaburo Ueno in February 2015, another bronze statue representing the master and his dog was erected on the campus of 東大 Tôdai / Tokyo University (in the Department of Agriculture where Ueno used to work) to reunite them forever.